Publication: May 23rd 2012 by TKA Distribution. 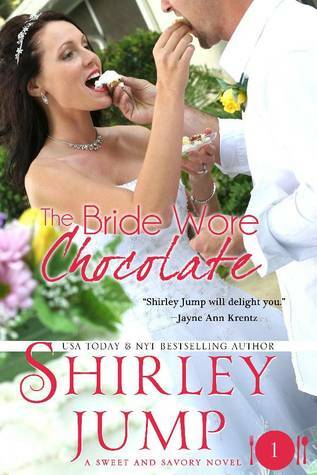 Enter the sinfully delicious universe of New York Times bestselling author Shirley Jump's Sweet and Savory Romances with the USA Today and Amazon Top 20 bestseller - The Bride Wore Chocolate! Life couldn’t be more perfect for Candice Woodrow. 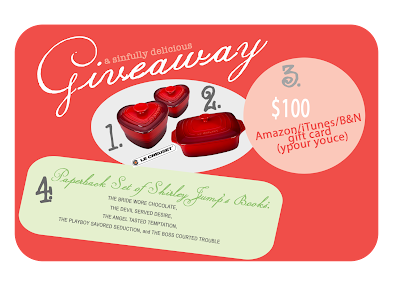 Her gourmet gift basket company is thriving, and she’s set to marry steady, dependable Barry. There’s just one wrench in the fairytale. Two weeks before her wedding she wakes up in the wrong man’s bed. Candace thinks she’ll be able to run out the door and forget all about Michael Vogler, but the Boston millionaire has other plans for the jittery bride. 6- Enjoying your friends who will listen and be there for you. 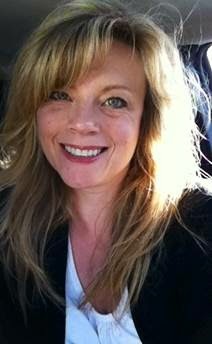 Candace and her friends run a business together and are successful. She is weeks away from getting married to Barry Borkenstein (that name would have been my first clue to run in the opposite direction)! She has a well planned out life. Everything is defined and dependable. She is doing things for others and nothing for herself. When she and her friends go to a bar, she wakes up the next morning in a strange man’s bed not remembering how she got there or what happened. That is so unlike her. Fortunately for her nothing happened. But then she kissed the guy (Michael), her neat and planned out life goes spiraling out of control. Candace also holds a secret to why her life is so planned. She has a crazy family that run in totally different directions. They crack me up. Candace volunteers everywhere. She even has a 3 legged dog. Her Mr. Right is an accountant who sticks to numbers and is dependable and safe. Funny thing is I never once read that she even loved him. As time gets closer to her wedding, Michael and Candace run into each other often either by coincidence or on purpose. They keep talking and become closer and Candace becomes confused. She doesn’t know what to do. She thinks it is just cold feet. Michael is a confirmed bachelor but finds himself questioning it. He has his own family issues that make him think love ever lasts. Eventually everything comes out and someone gets hurt. But you have to sometimes go by your heart and not your head. I really enjoy the recipes in the story. Every chapter has one. Right now, I really want one of those recipes or a Hershey’s kiss. The recipes are given with very specific directions depending on what your problems may be or whatever life is giving you at the moment. "Smear butter all over a loaf pan and try not to cry in your grease, since we all know tears and butter don’t mix. Over medium heat, cook the sugar, milk, corn syrup, salt and chocolate. As it melts, think of it as all your troubles cooking away (okay, that analogy would probably only work on a cheesy talk show). Once the chocolate is melted and your kitchen smells a hell of a lot better than your life, keep the heat on until your candy thermometer reaches 234 degrees. Add the butter. Remove from heat. Make a list of all the things you want to change about your life while the fudge cools to 120 degrees. Add the vanilla; beat the daylights out of the mixture. Then add the nuts and marshmallows- add extra, depending on how bad your day has been. Spread in pan and let cool as long as you can possibly stand to wait. Cut into squares just a tad smaller than the opening of your mouth. " I loved the ending. It was so cute! So if you have a sweet tooth and listening to your heart at the last minute than this book is for you. And just so you know, I am going to the grocery store right now to get some Hershey's kisses. Even though I got the book for review. I bought my copy! just reading the blurb makes me want some!! Anyone who knows me knows I LOVE chocolate. I mean seriously love it. A couple weeks ago, I decided to try to give up chocolate for thirty days. 1- Salted Caramel Chocolates: Ghiradelli makes some of these and they are amazing. Just saying Salted Caramel makes me happy. Eating it…beyond happiness. I love anything Salted Caramel. I made Salted Caramel Shortbread a couple Christmases ago and ate uh, most of it, before I served it at a party. Recipe is on my blog, if anyone wants to try it (it’s insanely easy). 2- Chocolate Covered Cherries: These are my go-to Christmas treat. I have a different craving candy for every holiday (told you, I love chocolate!) and at Christmas, it’s Chocolate Covered Cherries. My sweet hubby knows this and makes sure there is always a box of them in my stocking. 4- Birthday Cake M&M’s: Have you had these? They are EPIC. They truly taste like little bits of cake with a hard candy shell. I mean, it doesn’t get much better than that. Seriously, search them out and buy them. Consume alone so you don’t have to share. 5- Dark Chocolate Something: Because it’s good for your heart and all that. Personally, I can’t stand dark chocolate, but I know it’s good for me, so I try to have some every once in a while. 6- Fancy little Chocolates: Every once in a while, I’ll get a box of chocolates with all the little fanciness on top. Like miniature candy flowers or sparkly designs. I love those things. They’re like a party in a box, and even though I feel a tiny twinge of sadness to eat something so beautiful, chances are the chocolate is awesome. What about you? What chocolates are your must-haves in a gift basket? Which ones make you happiest to eat? And which chocolates are so good, you wouldn’t share a single one? Giveaway is open to US/Canada. I'm so glad to see this book with a new cover! I loved it and have an autographed paperback version of it! Thank you! I'm thrilled you already own it! This book would be a perfect read since I'm in the wedding mode.